Royal Air Force (RAF) personnel and the great Scottish public will be out in full force at this weekend’s RAF Leuchars Airshow to bid a fond farewell to the event in its current guise. Defence Minister, Dr. Andrew Murrison announced that the Airshow will be the last of its kind at the RAF station, which is transitioning from an RAF base to an Army base by 2015 with its fast jets transferring to RAF Lossiemouth. 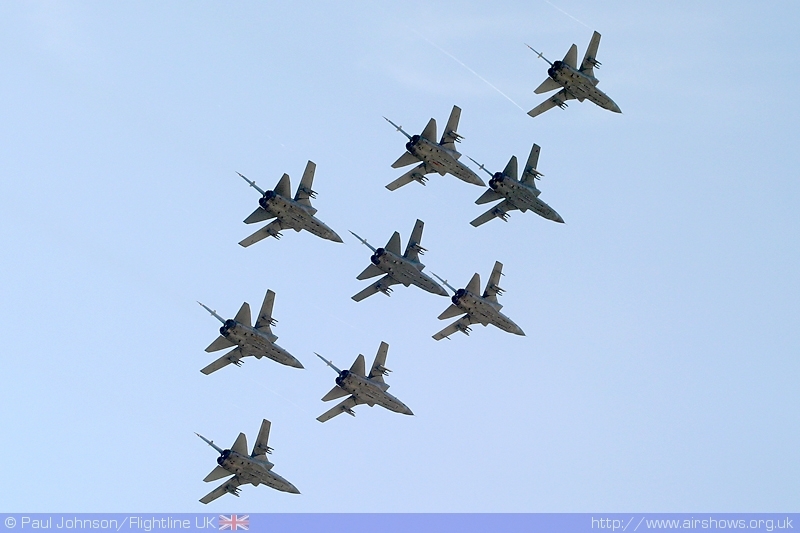 “All RAF personnel at Leuchars are to be congratulated for staging such wonderful airshows. Since the first Battle of Britain at Home day event held there in 1946, the Station has thrilled hundreds of thousands of people with its airpower displays and I am delighted that the RAF will continue to support public events in Scotland in 2014 and beyond. “Next year will be busy for the UK Armed Forces in Scotland. June 2014 will see Stirling at the centre of events across the UK as the host city for Armed Forces Day 2014. In August, the Royal Navy, Army and Royal Air Force will provide their traditional support to the Royal Edinburgh Military Tattoo. This is in addition to military participation at the Commonwealth Games opening and closing ceremonies. “Planning and delivering a safe and successful Airshow requires a dedicated RAF team at Leuchars and the reality is that after the 2013 Airshow the RAF will be fully committed to relocating to RAF Lossiemouth. The RAF is currently conducting a review of all Airshow commitments and while it is inappropriate to pre-empt the outcome of this work, the RAF are very aware that there are many events throughout Scotland that would welcome RAF involvement, including a number of already established Airshows such as those in Prestwick, and East Fortune. No decisions have been made for the year 2014 onwards but the review is giving serious consideration to various options including a replacement for the Leuchars Airshow. It aims to report before the end of 2013.